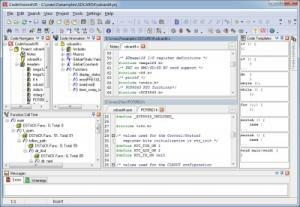 CodeVisionAVR Advanced Unlocked - Advanced unlocked license for CodeVisionAVR ANSI C compiler plus color-TFT support, LCD Vision graphic LCD font editor and custom chip configurations. The advanced license is a single user license, but can be activated on more than one computer. After the purchase, you receive all further installation information (e.g. download link, license file, etc.) directly from HP Infotech by email. The unlocked license is only available in Germany, Austria and Switzerland!